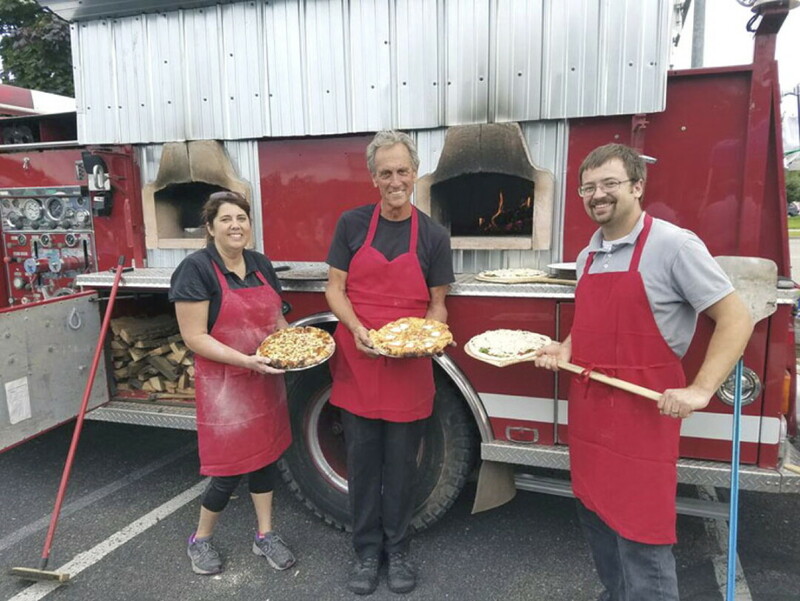 Fire Truck Pizza serves it up hot. Bye the Willow, a wine and beer lounge in Chippewa Falls, will be holding its first-ever Food Truck and Acoustic Music Festival Saturday, Oct. 1. The festival will begin outdoors with food truck eats and live music. Make sure to grab a lawn chair to watch the Torch Sisters perform their fiery acrobatics and the dazzling heights of a stilt walker and double-decker bike. While milling around, glassblowers and retro venders will be selling their wares, while henna and caricature artists will be stationed nearby. Food trucks scheduled include Angry Chicken serving wings as well as Retro Burgers with classic burgers. Italian-style food trucks will be there, namely Netty Q’s, What’s Cooking? and Fire Truck Pizza. Also taking place is a food truck “Best Fest Dish” contest. The location, Bye the Willow in downtown Chippewa Falls, boasts an abundance of beer and wine to choose from with comfortable lounge-style seating. While wine sampling and live music have been recurring events, this is the first festival of its kind to be held there. Performers will range from blues and classical artist Steven John Rindt to alt country artist Jeff White. Greg Gilbertson, a local artist known for his complex finger-picking style, will perform along with Derek Ramnarace, Grant Walker, and The Big Smooch. The event officially begins at 2pm with doors opening at 1:30pm. As daylight dwindles, the final two hours of the musical performances will take place indoors. Those who purchase tickets in advance will be entered to win tickets to future Bye The Willow events.